Christina Brackenbrough LaFleur E has a birthday today. 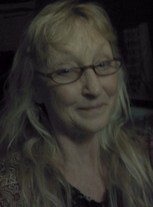 Christina Brackenbrough LaFleur E updated profile. View. Christina Brackenbrough LaFleur E added a photo to profile gallery. New comment added. Christina Brackenbrough LaFleur E changed "Now" picture. Christina Brackenbrough LaFleur E changed profile picture. Christina Brackenbrough LaFleur E posted a message. The only time you waste is the time you spend being unhappy.